The war shooter genre has been leaping in popularity recently. The success of first person shooters such as Call of Duty and Battlefield mean that the shooter industry has been getting millions of dollars worldwide. The success of these titles means that a lot more of these games are being made but not everyone is happy about this. Nintendo President Satoru Iwata mentioned that he would be saddened if all games ending up just being first person shooters but he did recognise that they do have a place in the gaming industry. The Nintendo president also told shareholders that third party software would be crucial to the Wii U’s success when it launches sometime next year. 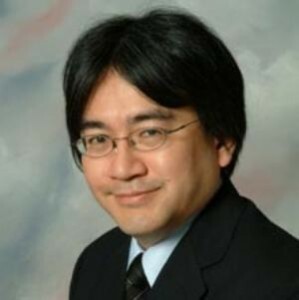 While Iwata did not go into details about Nintendo’s plans, he did say that the company has been in talks with “major overseas software publishers who are good at developing such games”, many of whom had positive things to say about the Wii U and its potential for the shooter genre. At this point, I don’t think anyone is ready to move on to other trends especially with Battlefield 3 looming on the horizon. However, It will eventually disappear like many trends. Back in the last early decade, there were alot of urban/hip-hop/mafia-themed games that populated the market after Grand Theft Auto. I will be saddened by that as well. War shooters are great but i do not want all my games to be shooters. GoldenEye 007 changed that perception when it was released in 1997 for the Nintendo 64. While GoldenEye 007 kick started the first-person shooter genre it was Halo Combat Evolved and its subsequent sequels that popularized it for the mass audience. Halo Combat Evolved also became the hub for competitive matches due to its incredibly fun multiplayer modes that were later expanded to the online world in the sequels..